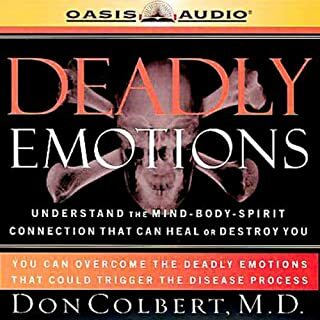 Dr. Don Colbert's "Deadly Emotions" would be a wise investment by anyone who cares for others, whether in counseling, or compassion-based ministry. The examples of people who suffered--all tragically, some terminally--touched me deeply and created a thirst for further research. How emotions impact human lives is something I see and sense on a daily basis. I recommend Dr. Colbert's book to anyone who genuinely cares for others!